Traditional BI has primarily served to illuminate the known unknowns, but modern BI attempts to open new doors for users across all skill levels to explore unknown unknowns. 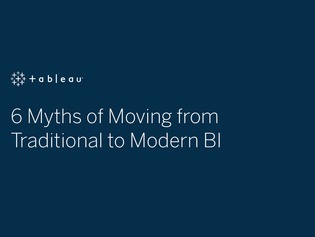 However, many businesses hesitate to make the switch to modern BI platforms due to common misconceptions. In addition, discover criteria for evaluating and selecting your modern BI platform.